A soldier from Cheshire has won £13.2m after placing a 25p online bet. Jon Heywood, 26, said his priority is to buy his father - who's waiting for a heart and lung transplant - the "best possible medical treatment". He said: "That's more important than anything. Family comes first and I'd give all this money back for him to be healthy again." But the Afghanistan veteran does have at least one big purchase lined up - a Bentley sports car. "I'm trying not to get carried away and I really don't know what else I'm going to buy with the money, apart from a yellow Bentley Continental GT," said Mr Heywood. He also plans to take family on a Mediterranean cruise. 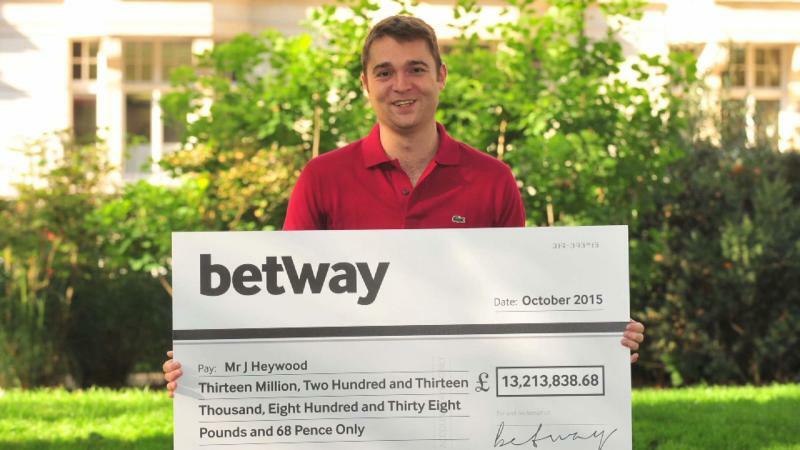 The massive win came on Betway.com's Mega Moolah game on 6 October, but he had to keep quiet about it for three days - and even went to work the next day. He said his mother "cried a little bit" when he told her the news. The jackpot is also likely to be the largest ever in an online slot machine game, narrowly edging out a 2013 win in Finland.